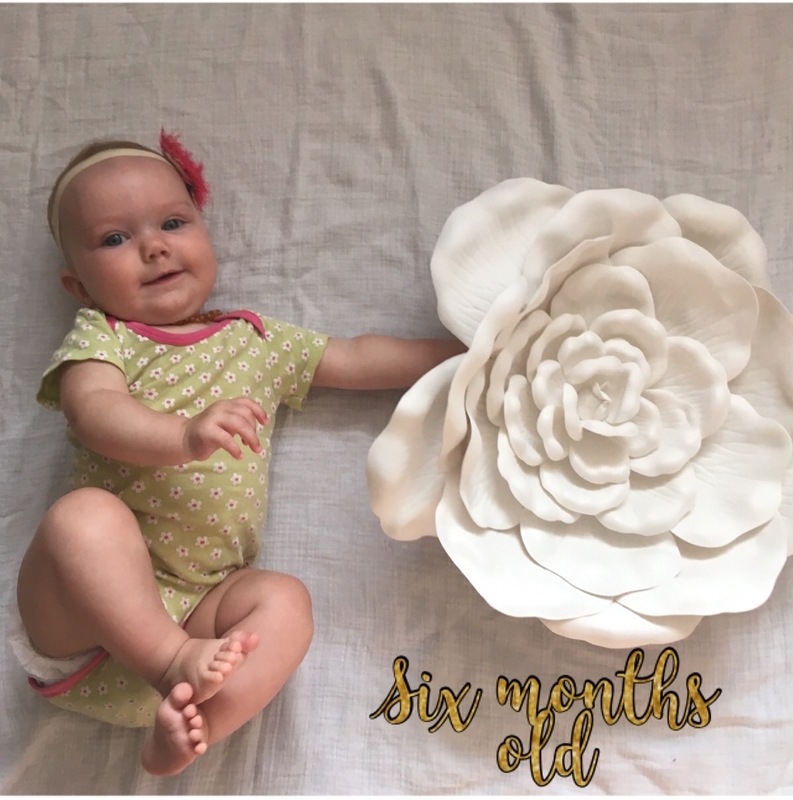 My daughter turned 6 months old in this past month! 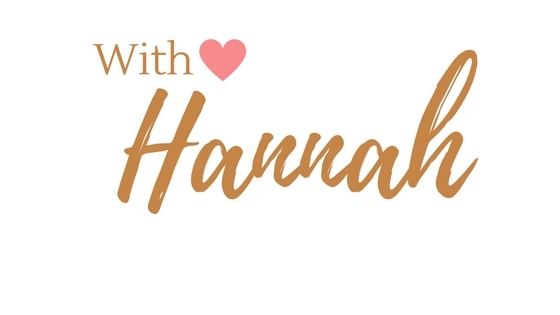 I can hardly believe it but the first six months have flown right by despite my best efforts to slow time down, soak in each moment and intentionally savor each baby phase and milestone. 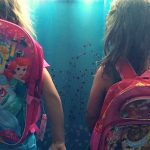 This post is sponsored by Happy Family Brands but the content and opinions expressed here are my own. Affiliate links included below which means if you click through or purchase something through my links, I’ll receive a small compensation at no cost to you. See full disclosure here. 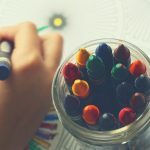 Since I’m still trying my best to enjoy each new phase, I thought I would share five things that I’ve noticed are ESSENTIAL to keeping a 6-month-old baby happy. At least they are working to keep my little one content and satisfied. 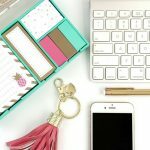 Playing along with the hashtag from Happy Family Brands (#thisishappy), I have found these items to play an important part of baby’s development and sometimes (quite literally) be utilized as survival tactics for me as the mom. 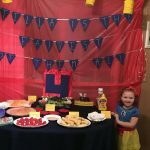 The number one essential to keeping your little one happy is to make sure they are well fed! 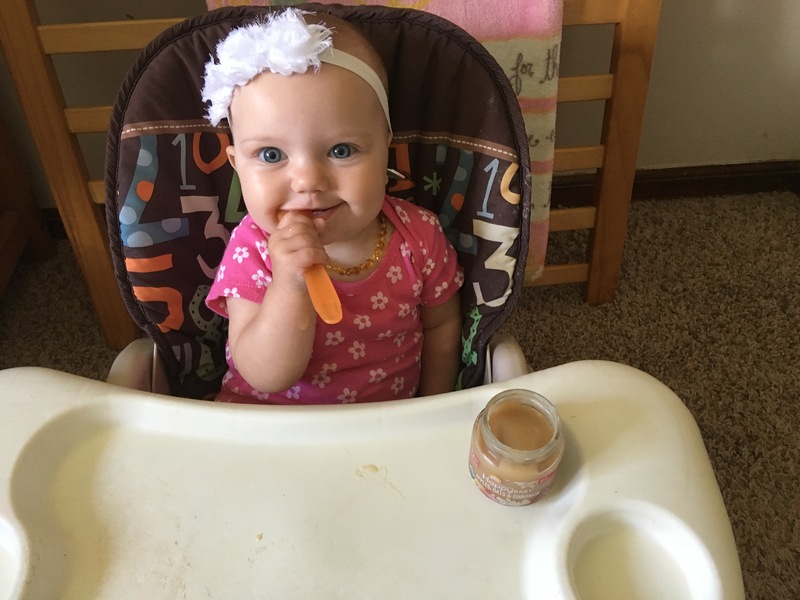 We started spoon feeding solids to Baby Moriah this month and she has loved it after her first try. She figured out pretty quickly how to feed herself and likes to do it independently. She’s quite a little spoon feeding expert! You can see her in action in this video. 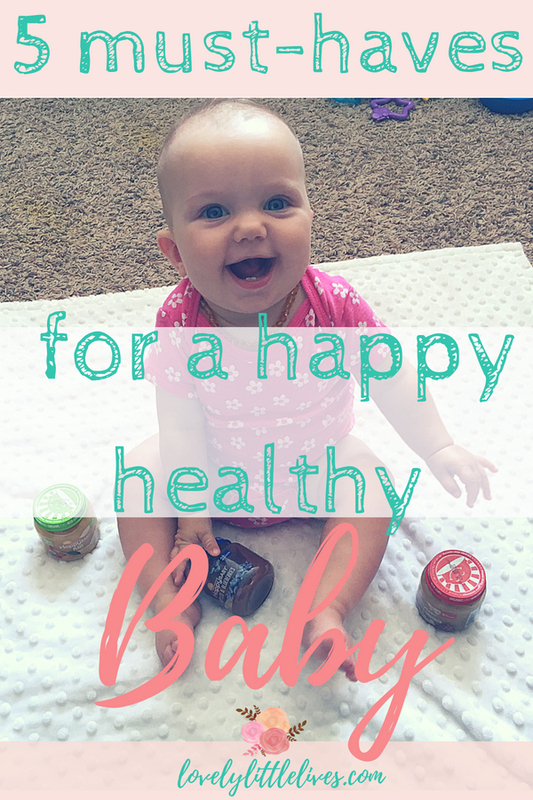 I started getting her baby food from Happy Family Brands. 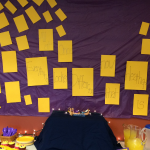 They offer food for babies and kids that is both organic and affordable. 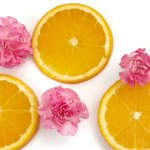 I love the variety of flavors they offer as well as their transparency in the nutritional value of their products. 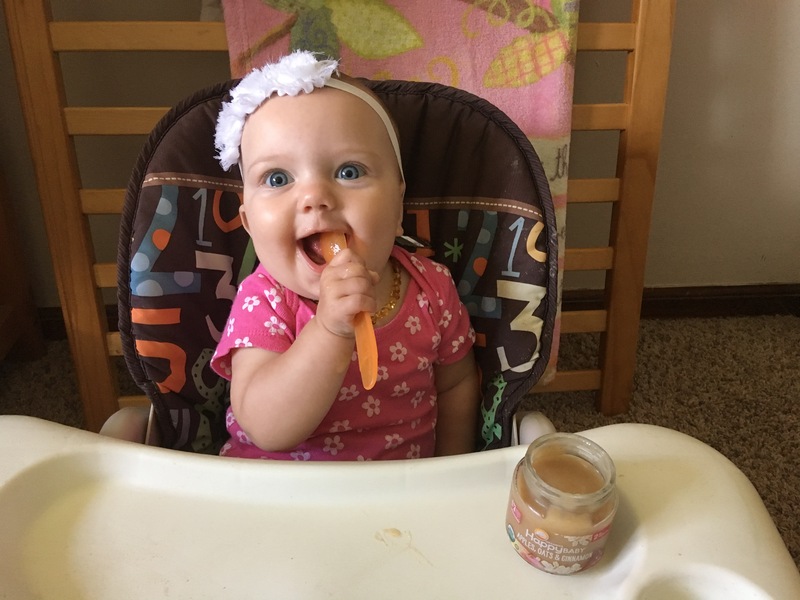 I also appreciate that their baby food stays fresher longer than competing brands. This baby food can be used for three days after opening while the other brands I’ve used are only good for two days. 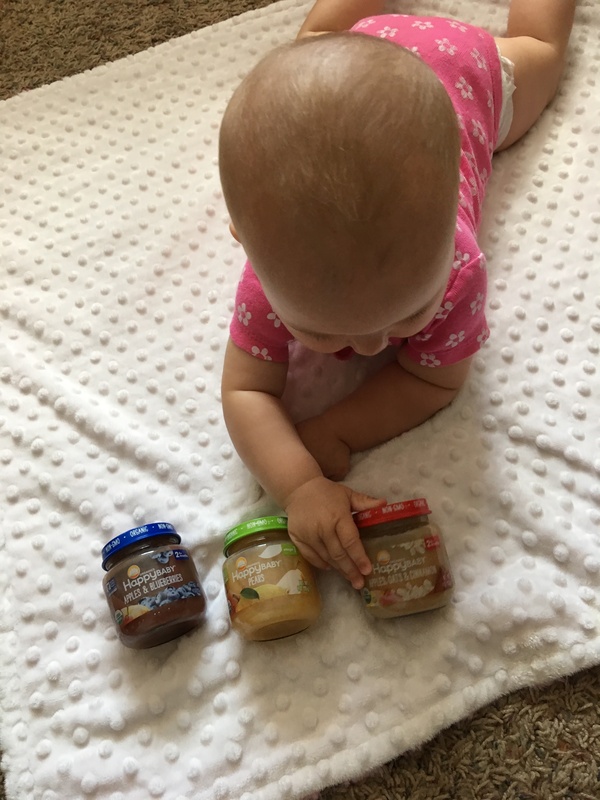 I hate wasting food so that extra day of freshness can make all the difference in helping baby finish off each jar. 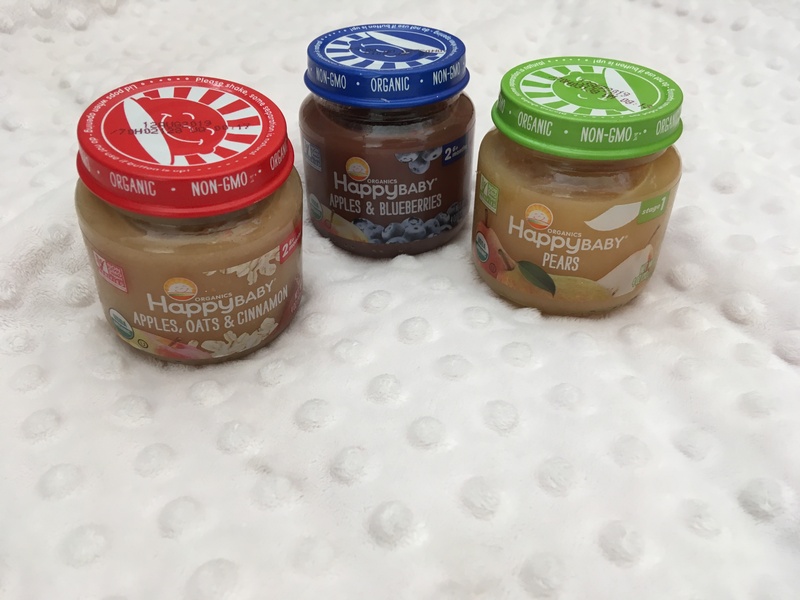 And here is the exciting news, Happy Family Brands is offering you a $1 off coupon when you buy any three Clearly Crafted jars of baby food! 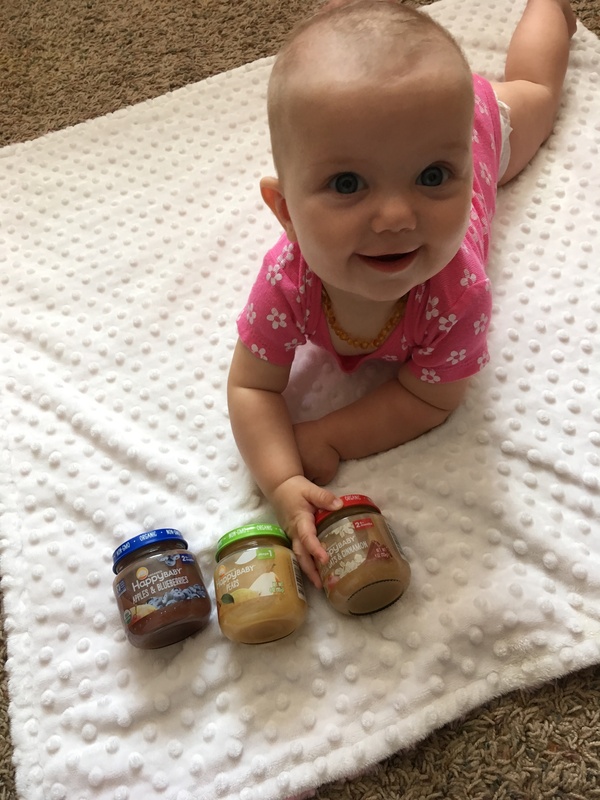 Just click through to grab your coupon and then visit a local retailer to pick out your (or your baby’s) favorite flavors to try. You can check on the store locator to find the nearest retailer to you. 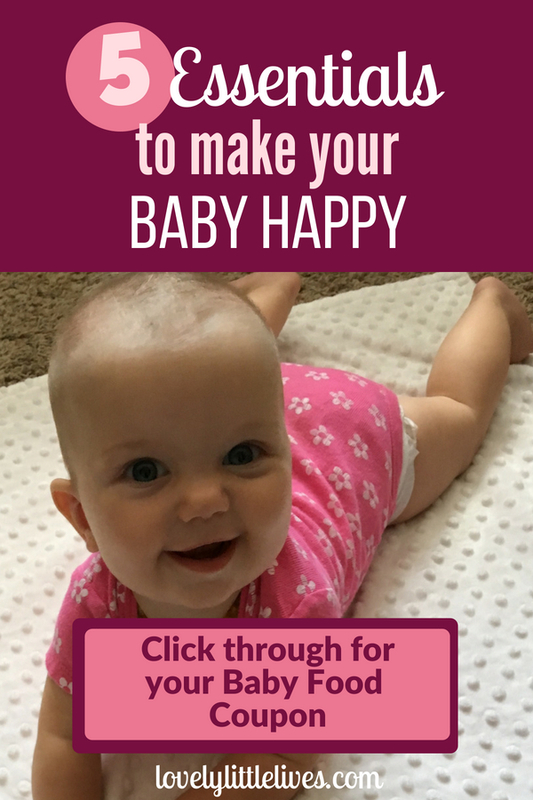 Speaking from experience, I recommend selecting the individual products on the website to make sure your local store has exactly what you want since not all stores carry the entire line of happy baby products. My local Walmart and grocery store had Happy Baby products but they did not have the jars. I had to go to Target for those so just double check before you go shop! The ones we have gotten so far are apples/oats/cinnamon, pears and apples/blueberries. All of them are yummy, healthy options for your little one as he or she explores the world of solid food. 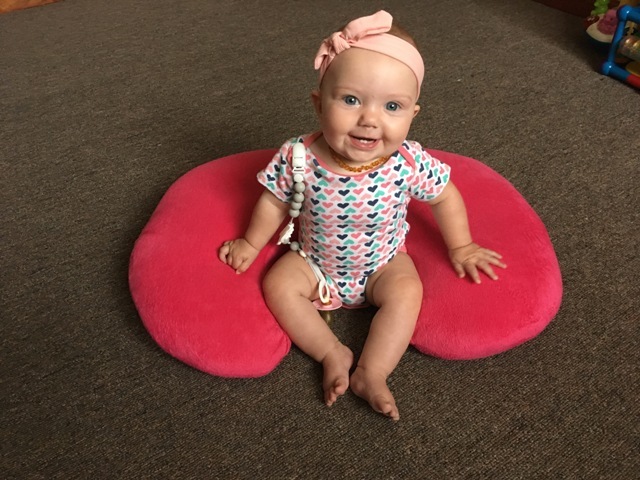 Baby is learning how to roll over and sit up at six months which means they are still a little (or very) wobbly. So good sitting support is a must to avoid too many head bumps and accidental face plants. I know many people use a bumbo seat but I have never owned one. I just have a Boppy nursing pillow and it works wonderfully! 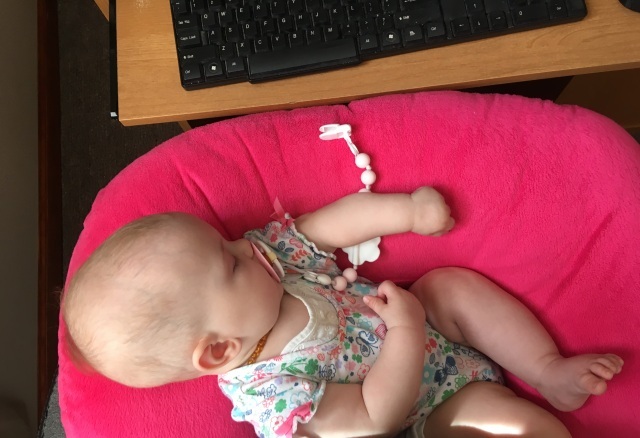 Not only can I nurse her it for hands-free feeding and let her fall asleep in it after nursing, but when she is awake I can put in behind her on the floor so she has something soft to land on. 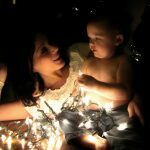 It’s one of my all-time favorite and versatile baby accessories. 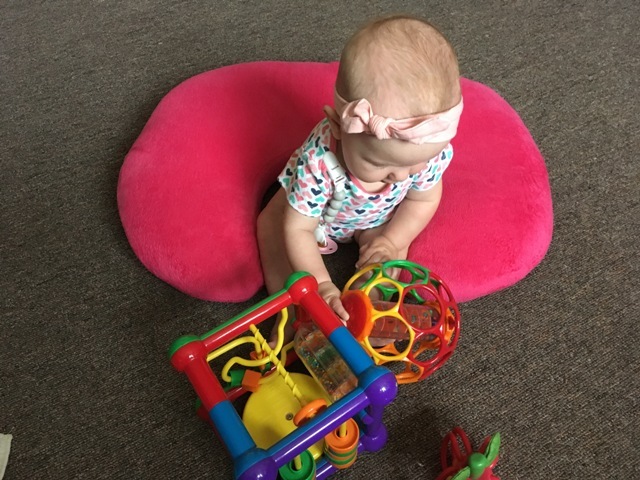 Although at 6 months, most babies are starting to play with toys, learn to roll and sit and are starting to do more independent play, they also still want to be held. And sometimes, they want to be held a lot! My little one is very much attached and wants to be with Mom constantly. Oftentimes playing on the floor near me while I do other tasks just doesn’t cut it. 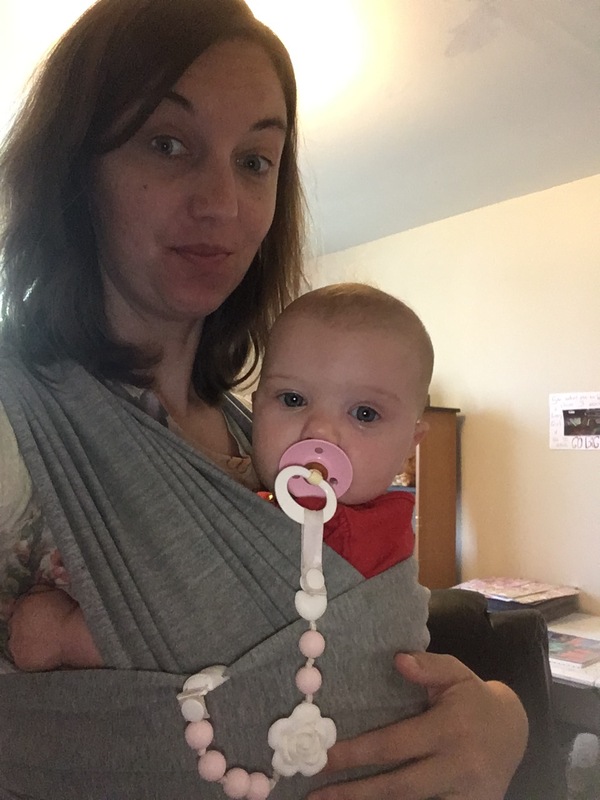 So, I use baby carriers at home and when we are out and about to solve this dilemma. She can be held by me and I can be hands-free to do other tasks. She likes to just watch what is happening around her from the safety of Mom or she will just drift off to sleep after a few minutes of me walking about. 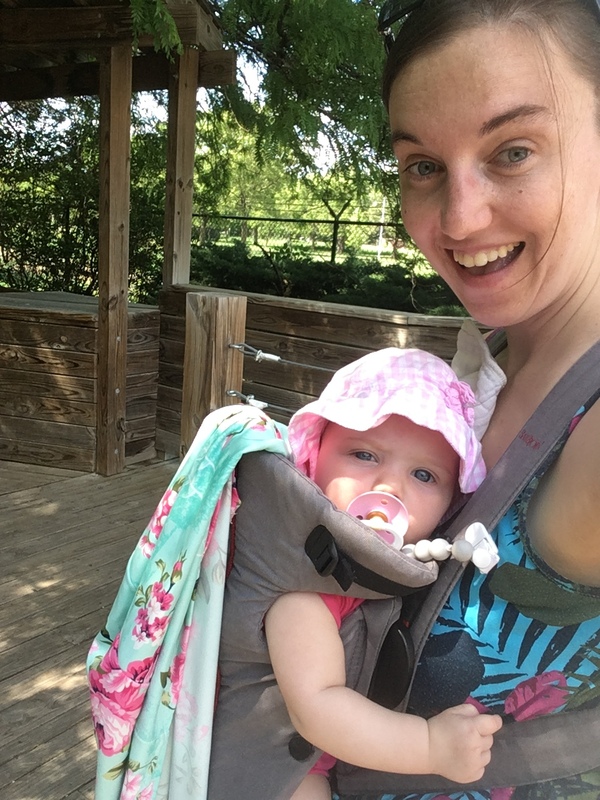 I usually just use my hand me down baby carrier that I’ve had for all my kids but, I recently received a baby wrap for review from FNF Baby Essentialz. I’ve loved having it as an alternative option to my other carrier. 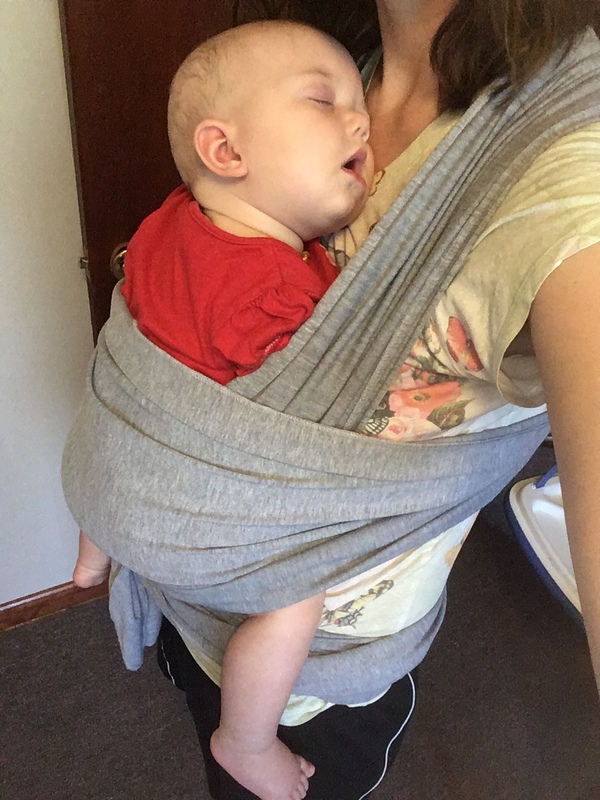 She falls asleep much more quickly in the wrap and it’s made of soft, stretchy material that is both durable and comfortable. It comes in a handy little drawstring bag which is great as well for traveling and storing. Plus it’s super affordable which I can’t help but appreciate. 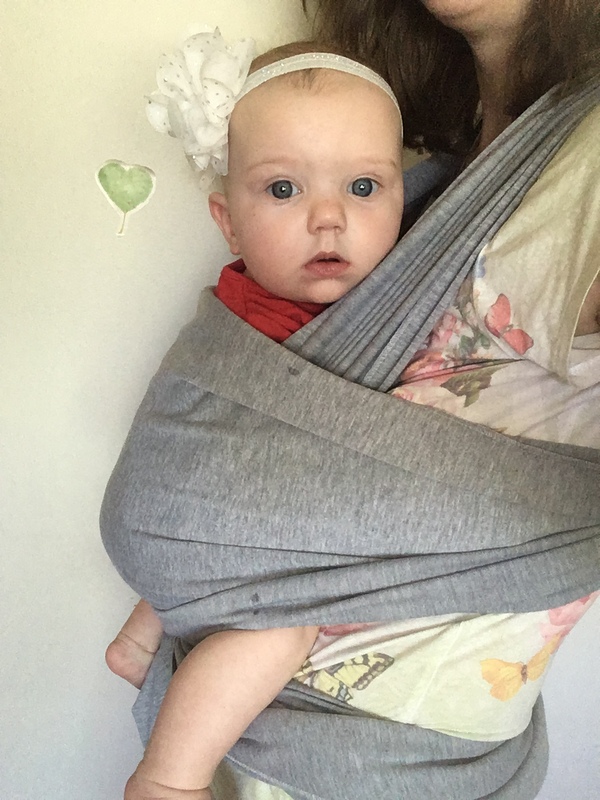 With a little practice on learning how to wrap it correctly, its become one of my favorite baby go-tos. Anything to keep baby entertained for short periods throughout the day is a win. We do a lot of rotating from the floor, to the carrier, to the highchair, to the jumper, to the car seat, back to the floor ect. 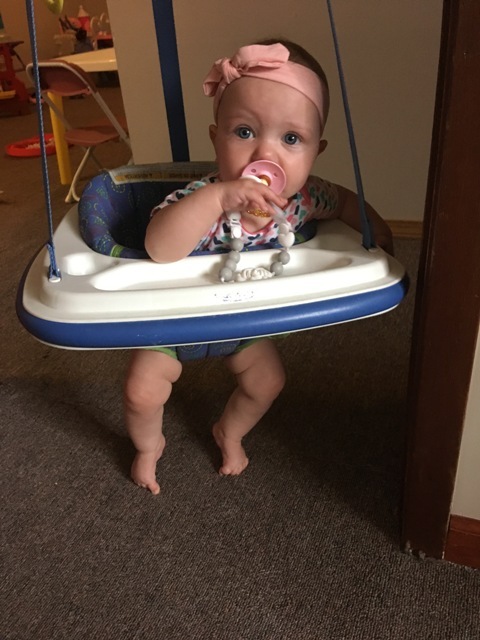 We have a baby jumper that hangs in the doorway of my home office, similar to this one and it’s a great way for the baby to get a little exercise and have fun. I usually crank the music and she jumps to the beat and giggles if she is in a good mood. The one we have is pretty ancient but you can find brand new ones that are similar on Amazon. If you have a baby with active little legs, then this item is a must-have! 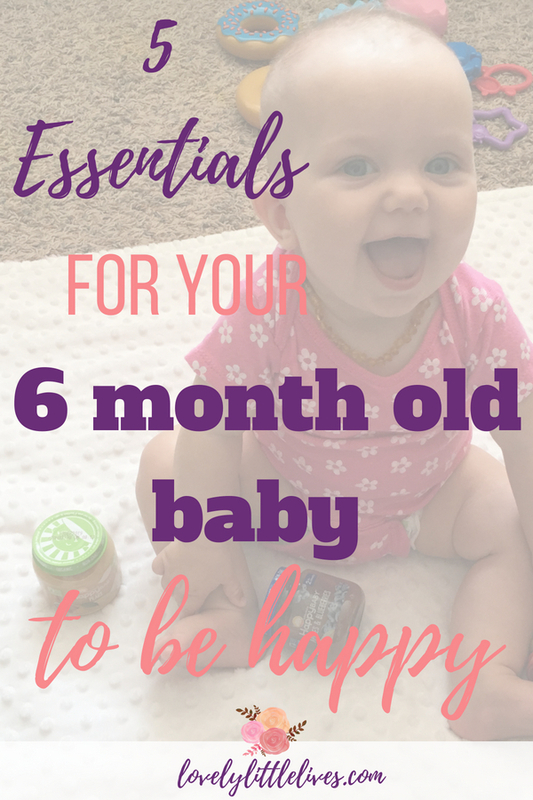 So there you have it, the 5 things I consider essential for a 6-month-old to be happy. 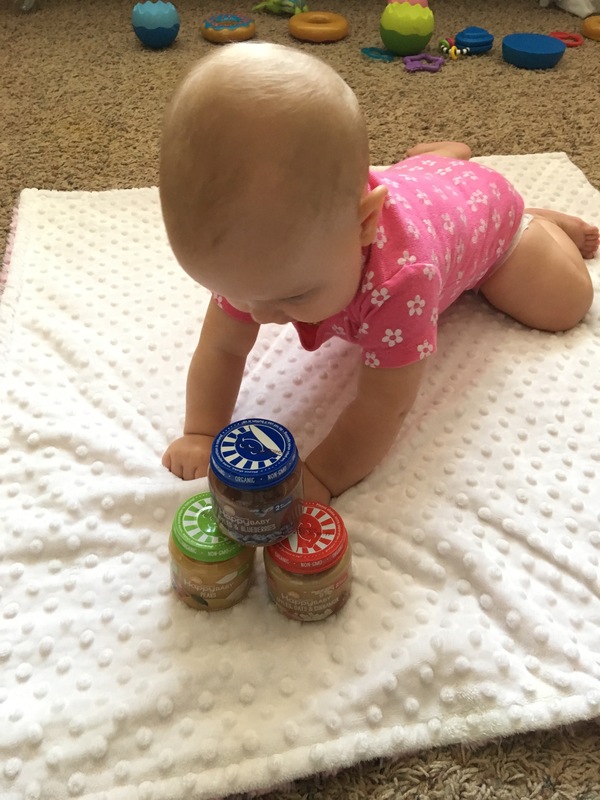 Before you go, make sure to hop on over to grab your coupon for baby food and get to shopping for all the fun baby flavors! 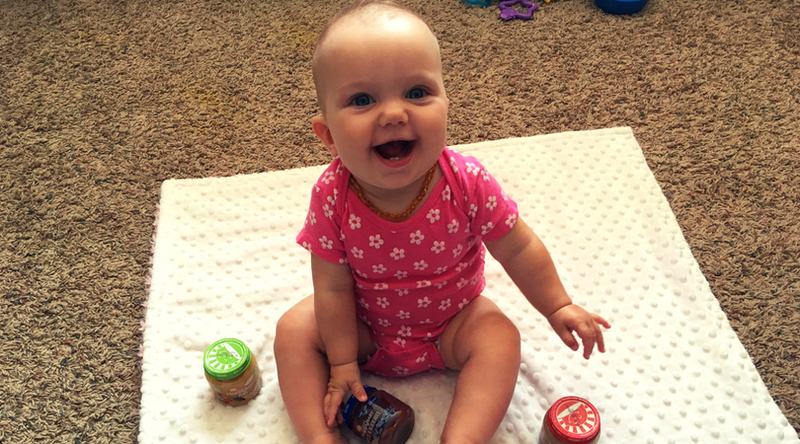 After you purchase Happy Baby food, I would love to hear what flavors you chose and how your baby likes it! 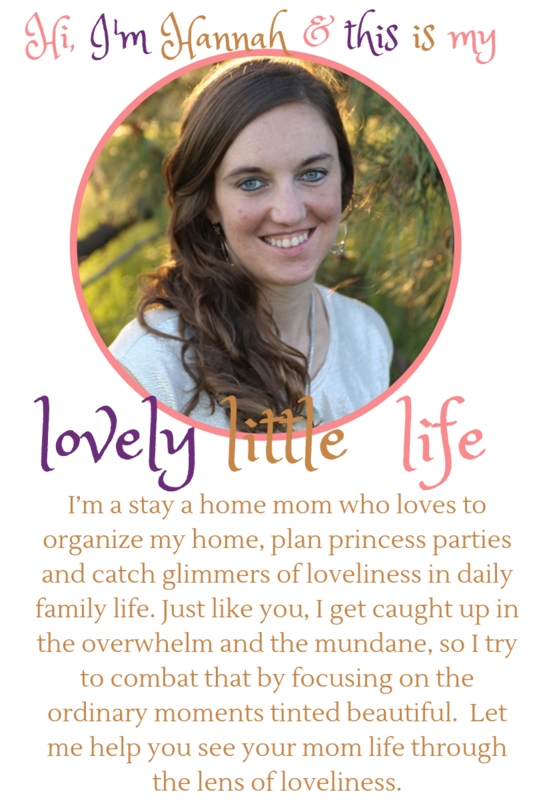 Let me know in the comments below or tag me @lovelylittlelives in a social media picture of your baby enjoying their favorite flavor.